My kids love laughing cow cheese……a lot. They will just eat it plain if I let them. But deep down in my soul is ingrained that every meal and snack should include a fruit or a veggie and so I always include a side of veggies or fruit with their cheese. The other day I was thinking about cheeseballs. I know its a weird thing to be thinking about, but it’s the holidays and they seem to pop up at parties this time of year. The outside is usually covered with some kind of nuts, which is delicious and adds protein. So I thought, why not cover the outside of these cute little cheese triangles with veggies and add vitamins and minerals. 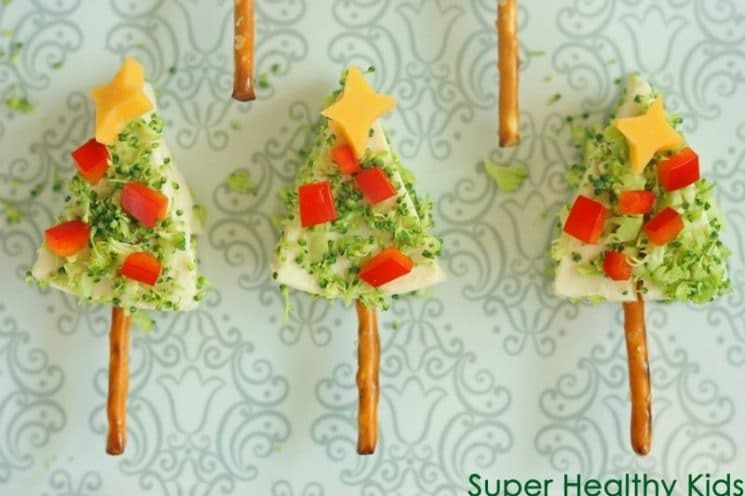 Stick a pretzel in it and you have a balanced and power packed snack…….not to mention festive. 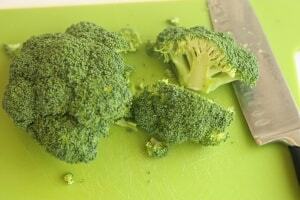 Rinse your broccoli and chop into teeny tiny pieces. I used my chopper for this and it took me about 1 minute. 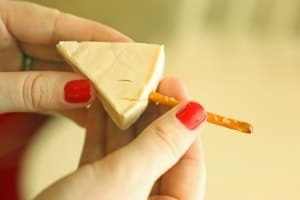 Put a pretzel stick through the center of a laughing cow cheese wedge. Then coat in broccoli pieces. 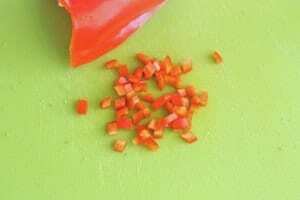 Dice a red bell pepper into very small pieces. These are your ornaments. You can use a yellow bell pepper or cheddar cheese for the star on top. I normally don’t like raw broccoli, but these were delicious! And at only 35 calories per wedge I felt really good about eating it. I am a big believer in serving fruits and vegetables in a variety of ways to your kids. If you have a picky eater, eventually you are likely to find a way that a certain fruit or veggie appeals to them. These look fun and healthy! 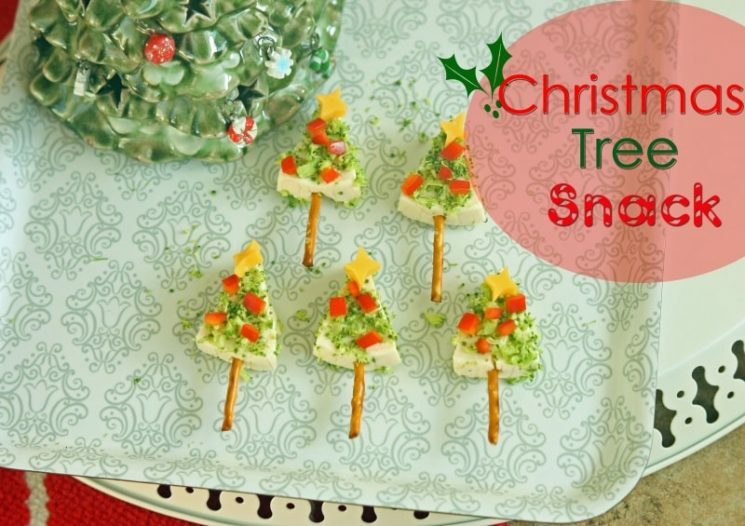 perfect for kids or for holiday gatherings. Thanks for sharing! These look like a great idea for my company holiday party. I’m sure they will be a huge hit. Thanks for sharing. This looks relatively easy and fool proof. I’ll have to try it out for my upcoming holiday gatherings. These look like something my kids would really enjoy and it is something they would like to help make. So much fun! These are making me hungry! I think they would be great for my Holiday work party or any xmas gathering. they look gross but cute i guess.